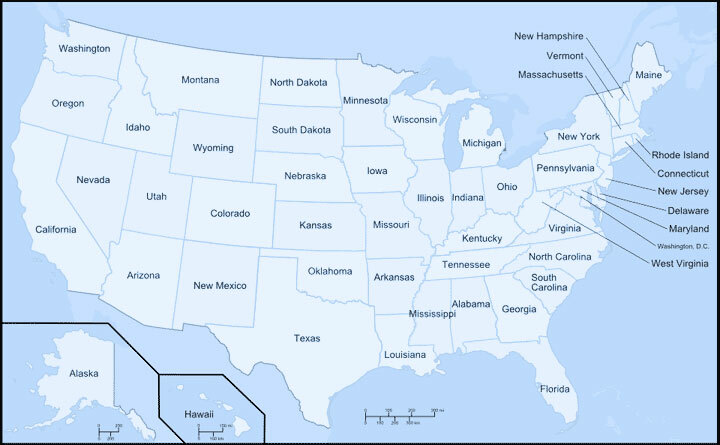 The interactive map below gives you a 50-state view of your choice: the latest civil right to counsel activities, the status of civil right to counsel law by type of case (child welfare, paternity, guardianship, etc. ), the efforts in which the NCCRC is involved, or the states where NCCRC has a presence. After you select an option, instructions will appear above the map to explain how that option works. Please read the disclaimers below the map. No information in the map should be taken as legal advice. Moreover, information in the map is to be taken as-is, with no guarantees of its accuracy. We add new cases, statutes, and other developments every day as we learn of them. Additionally, the law in each state has been comprehensively reviewed and updated as part of a rolling process that began in 2013 and continues through the current day. The map does not display any negative law (i.e., cases, laws, or other developments declaring there is not a right to counsel in a certain area). In the "Right to Counsel Status" view, where we are aware that a type of proceeding does not exist at all (for instance, some states do not require parental notice/consent for a minor to have an abortion, and so there is no judicial bypass procedure), it will be indicated in a brown color. But for civil forfeiture, involuntary medical treatment, quarantine, and sterilization, we do not yet know if any of the states that appear to lack a right to counsel do not in fact authorize proceedings of these types. In some states, unpublished opinions are cited where the state rules appear to allow such citation. However, such rules change from time to time and it is possible that an unpublished opinion may be relied upon in a jurisdiction that no longer allows such authority. For rights to counsel pertaining to children, the map considers a child to have a categorical right to "counsel" if either of the following is true: 1) the court must appoint client-directed counsel; or 2) the court must appoint a guardian ad litem where such GAL must be an attorney. In future versions of the map, the latter situation will be treated as a "qualified" right to counsel. Instructions on how each map view works can be found right above the map. We've also got information on federal and nationwide activities!